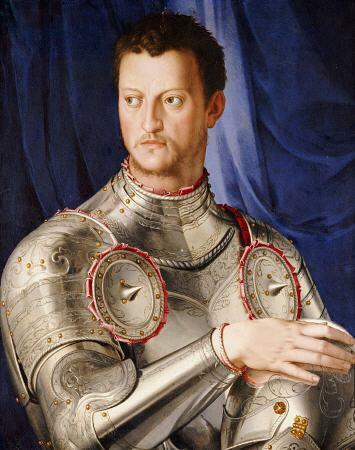 Lorenzo de’ Medici also known as Lorenzo the Magnificent (1449-1492) is probably the most well-known member of the Medici family. He is the son of Piero de’ Medici. In 1469 Piero organized a joust to celebrate Lorenzo’s marriage to Clarice Orsini, and in the same year the succession passed, without discord, to Lorenzo. 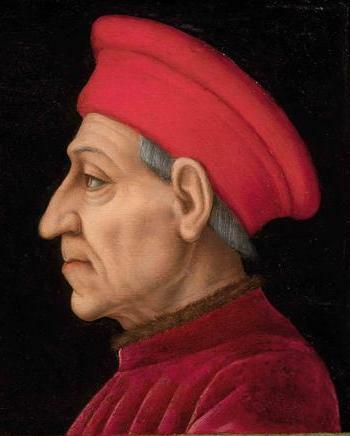 The Pazzi conspiracy (1478) and the following war challenged the Medici predominance, yet Lorenzo’s leadership was consolidated by constitutional changes and by his securing peace with the papacy in 1480. 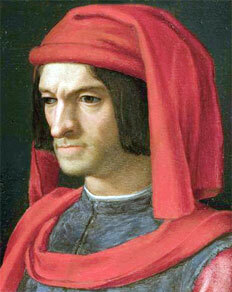 Lorenzo is viewed as one of the great patrons of the Renaissance, under whom the arts flourished in a golden age. This view has since been rejected by modern writers, on the grounds that to accept it would be to perpetuate a myth created by the Medici’s themselves. Instead, Lorenzo began to be portrayed as primarily a collector of antiquities, who, unable to afford to commission art on a grand scale, had to satisfy himself with offering amateur advice to others. This view is now, in its turn, being challenged as an oversimplification that underestimates and misunderstands Lorenzo’s role as a patron: his patronage was more than a mere matter of political expediency, and his advice was sought by both rulers and civic bodies because he was considered an expert. Lorenzo was both ruler and scholar. A distinguished vernacular poet, he was also passionately interested in Classical antiquity and became the center of a humanist circle of poets, artists and philosophers, which included Marsilio Ficino, Pico della Mirandola, Angelo Poliziano, Botticelli, Bertoldo di Giovanni and Michelangelo. His taste in architecture was formed by Leon Battista Alberti, with whom he had studied antiques in Rome in 1465 and whose treatise he read repeatedly. He showed great interest in the architectural projects of his day; this has stimulated a debate on whether he may have been an amateur architect. Even if Lorenzo was not a practicing architect, there is no doubt that Giuliano da Sangallo, whom he saw as able to revive the glories of antiquity, worked in close collaboration with him. 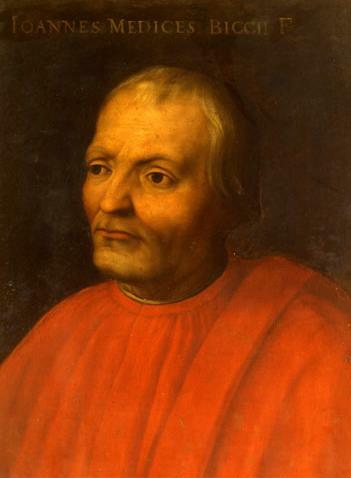 Lorenzo continued the Medici patronage of ecclesiastical institutions. He enriched the family church of San Lorenzo, where the tomb of Piero and Giovanni de’ Medici was completed by Verrocchio between 1469 and 1472, and had Sangallo build the Augustine Observant Monastery at San Gallo in 1488. Lorenzo’s position as de facto ruler of Florence gave him an added importance as a patron, since little was done by public or semi-public authorities without his approval. He planned to build houses and roads to beautify his quarter of San Giovanni, although only four houses on the newly proposed Via Laura were erected. His choice of Giuliano da Sangallo for the building of the sacristy of Santo Spirito was accepted in 1489, and he was involved in two decisions concerning the cathedral: to delay the selection of a design to complete the façade and to decorate with mosaic two vaults in the chapel of San Zenobius, a project later abandoned. Even the building boom of the late 1480s was in part due to Lorenzo, as he encouraged the legislation that promoted it. Other patrons were influenced by him, and in this period the Palazzo Strozzi and the house of Bartolommeo Scala were built. 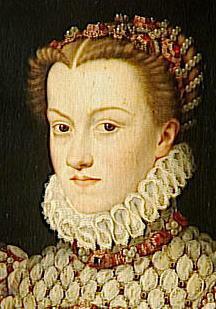 Lorenzo’s influence on the patronage of others extended outside Florence’s borders. Pistoia’s choice of Verrocchio for the cenotaph for Niccolò Forteguerri in Pistoia Cathedral in 1476 was the result of his intervention, as was Prato’s decision, in 1485, to employ Giuliano da Sangallo to build the church of Santa Maria delle Carceri. 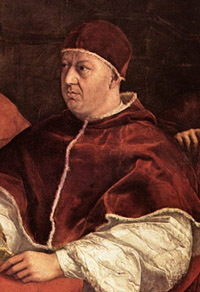 He also gave artists introductions to foreign courts, both through letters of recommendation and gifts of work, recommending Filippino Lippi to Cardinal Oliviero Carafa in 1488, resulting in Lippi’s decoration of the Carafa Chapel in Santa Maria sopra Minerva, Rome, and Giuliano da Maiano to the Duke of Calabria in 1484, which led to the building of the hugely influential villa of Poggio Reale. Among Lorenzo’s gifts was a palazzo design by Giuliano da Sangallo sent to the King of Naples and two marble reliefs of Darius and Alexander by Verrocchio sent to the King of Hungary. Lorenzo’s manoeuvring in the world of patronage must in part be understood in a political context. At home the results it produced and the work it provided could increase his popularity and his network of clients, on both of which he depended to maintain political control. Outside Florence it could help in his dealings with foreign rulers. His patronage increased in scale in the 1480s, after Florence had made peace with the papacy and the Kingdom of Naples. Lorenzo’s more private interests are best represented by his country retreats, where he indulged a taste for rural life modeled on Classical ideals, and in the collections that he built up at the Palazzo Medici in Florence. His major architectural commission was the Villa Medici at Poggio a Caiano, where Sangallo created a villa all’antica, deeply influenced by Lorenzo’s ideals. He also commissioned around 1487 an illustrious team of artists—Botticelli, Perugino, Filippino Lippi and Domenico Ghirlandaio—to decorate his villa of Spedaletto, near Volterra, and ordered two works from Verrocchio, thought to be the Putto with a Fish and the David for his villa at Careggi. Both Verrocchio and Botticelli were employed to make ceremonial decorations for jousts. Lorenzo’s interest in antiquity is further underlined by the keenness with which he built up an expensive collection of antiquities, including sculptures, gems, cameos, vases and large-scale marble sculpture; among the most celebrated items were the Farnese Cup, the Apollo and Marsyas gem and a red jasper two-handled vase with cover. It has been claimed that this collection was made at the expense of the patronage of contemporary artists, but Lorenzo’s role as a collector cannot be wholly divorced from his activities as a patron. He encouraged the revival of the ancient arts of mosaic and gem-engraving, and he consciously used antiquities to inspire modern artists. His collection was cared for by Bertoldo di Giovanni, from whom he commissioned a relief, The Battle, inspired by an ancient Roman relief in Pisa, and he possessed Antonio Pollaiuolo’s antique-inspired bronze of Hercules and Antaeus. Moreover, he established a sculpture garden at San Marco, where he encouraged Michelangelo to study from the Antique, and before 1492 Michelangelo had carved his Virgin of the Steps and the Battle of the Centaurs. Both Bertoldo and Michelangelo formed part of Lorenzo’s household, and this treatment of artists as the equals of humanist scholars and poets was unprecedented in Republican Florence. It introduced a new type of patronage and was associated with an increasing emphasis on the production of collector’s pieces.